No surprise. The bids for the next-next year are expected within 6 months after the last day of each LGM. Here is how it would work, as an example. In 2009 we should have announced officially that 2010 will be in Brussels. This would have been known and decided in the previous months. Within 6 months after LGM Wroclaw 2008 was over, the Brussel team would have shown up expressing the will to organise the 2010 LGM. They would have had 6 months to prepare their bid, review the guidelines and addressed the specific questions such an organisation raises. Around November 2008 the LGM Board would have had already quite a few exchanges with the local team (or teams if there was more than one bid) and would have a very good idea of the solidity of the local team and the quality of their bid. Then the Board could start the consultation process on the next venue with the various LGM teams and the people on the Create List. A the end of the process the Board would make its recommandation. At the end of this process, say in February 2009, we would know who was going to organise LGM 2010. Should we shorten a bit the process in order to keep the momentum? The spirit is to give people the time to put together their bid, review the guidelines, ask questions, get answers, etc. Not wait til the last minute! Take 2 weeks for internal discussions and 2 weeks for the Mailing List discussions. 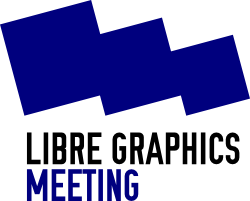 – Have decision on LGM2014 venue by May 15th. Decision made on IRC. The group decides unless not able to get 2/3 majority. In that case, vote through past LGM participants + CREATE list. – Have all travel money secured 3 months before the event. – The deadline for proposing a LGM2015, 3 months LGM2014. We would officially announce this at the end of LGM 2009 and without surprise the work towards 2010 could have started right away — and it would have actually started months prior to the official announcement. Within 6 months after the end of LGM 2009, people would discover the new local-team(s)-to-be. People who would want to organise LGM on 2011 would have stepped in at that time and the 2-year process could start. In no way this whole process is meant to split the LGMers appart on a Venue. What we aim at is a consensus. If there are two or more bids on the table that are equivalently solid from the organizational stand point, we can try to sort this out by asking both teams if one accepts to go for the year after. In this case, we should make it clear that the venue is secured also for the year after. I suggest that if this is the case it’s good news because we could start the local sponsorship campaign ahead of time. According to the process described above, we should have announced the venue for 2011 at the end of LGM 2010. We would know within the next 6 months who is going to bid for 2012. This was not the case and we now have a bid from Vietnam and one from Montreal and a quick and important decision to make on July 1st, 2010. It is clear that at this point in time lots of eyes a turned towards Vietnam but we haven’t decided so, yet. There are many questions which need to be discussed and answered before we have a go, no matter how interesting is the bid — and it’s a very interesting bid! We want to come up with a consensus and so by no means what I write here should be understood as my personnal choice towards the city I live in! At LGM 2010 we learned that Vietnam and Brazil both wanted to propose a bid. And I mentionned again, unsurprinsingly to most of the attenders, that Montreal was of course always ready to host the LGM. In my view, provided we agree on the proposed two-year process, the new bids would have been for… 2012. I don’t mean that the discussion is over for 2011. I only mean that this could be the case. In this case, we would fall back on Montreal for 2011 with a proven organisation. This is only hypothetical, again. Let’s say we’re engaged into that process only for the sake of this discussion. Both bidders have 6 months to prepare their bid and start preparing the ground and the process goes on as described above. This process is in my view very sane as it evacuates the emotional charge and the last-minute decision making.